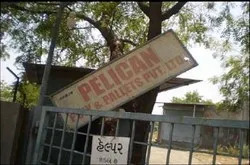 Established in 1991, we, Pelican Poly & Pallets Private Limited are manufacturer of Mosquito Nets, Re Geogrid Net, Garden and Landscape Product, Warning Tape, Packaging Product, Agriculture Net, Civil Construction Nets, Body Scrubber and Non Woven Dcut Bag. Under the supervision of Mr. Kaushik Patel, our firm is achieving heights of achievement. We also provide various amenities to the patrons to put their demands forward and get them solve timely and as per their requirements. Manufacturing and Trading of Polymer Products. We are a quality conscious company and adhere to stringent quality monitoring procedures right from the procurement of the raw material to the final stage of the products. We also ensure that the manufactured range is in accordance with laid production standards and norms. These and other innovative measures assist us in providing end products as per client’s specific needs. 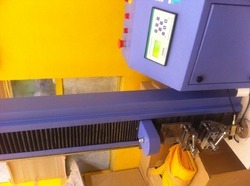 We have with us state-of-the-art manufacturing unit. It aids us in the smooth functioning of involved business operations. Our production facilities are updated at regular intervals helping us to meet the changing specifications and needs of the global markets. Headed by well qualified and experienced Directors and a team of executives. The M.D. is holding a Masters Degree in Engineering from United States and has 29 years of industrial experience. The Vice President ( Technical ) is holding Degrees in Mechanical and Electrical engineering. He has held very senior posts in this line for over 30 years. The G. M . ( Production ) is having 25 years of experience in this line. We have experienced Marketing team capable of providing best services to our valued clientele. 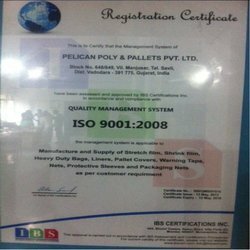 ISO Certified 9001:2008 for Quality Management System. By checking our range thoroughly and then packing it in high quality packing material, we make sure that no flaw is left in satisfying our clients to the maximum. We are offering an unmatched wide range of products. These find usage in varied applications. We are priviledged with full fleged infrastructural base, scattered over 1,50,000 square ft , which aids us in ensuring high-end product range to our customers. 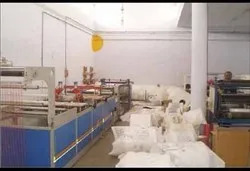 We are well equipped with latest machinery and the important machines used in our factory are Netting Plant, Blown Film Plants, Cast Plant, Flexo Printing Machine, Roto Grevier Machine, PLC controlled sealing cutting machine and PLC controlled gussat machine . 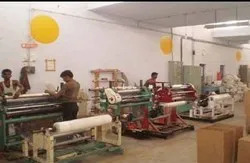 Further, with a total installed capacity of 175 tons for all kind of net plants and 120 tons for all stretch film machines, we are able to garner any production targets in stipulated time frame. Additionally, the major raw materials we use such as Plastic polymers like LLDPE, LDPE, HOPE, PP is procured from reliable vendor only. We are customer centric organization so we ensure maximum satisfaction of customers by delivering quality products to our customers. This is done by passing our products under stringent quality control measures such as MFI, CBC, TENSILE STENGTH, DROP TEST, DARK IMPACT. With our quality range of products, we have created a distinct place in market. Further, the major USPs, which keep us apart from others are our commitment to provide maximum customer satisfaction with our quality assured products. Thus, we procure best quality of raw materials for manufacturing of these products. Additionally, we always provide strong customer support to understand customers’ requirements. Also, our product prices are realistic and reasonable, compared to others in the market. We serve major clients in industries such as Electronic, construction, manufacturing etc. Moreover, well acknowledged world wide, we are major supplier in the countries ranging from India to South Africa and Europe. Our esteemed clients includes Blue star ltd, Ever shine wire products pvt ltd, H.R. Vinimay pvt ltd, just to name a few. Further, we offer customized products / services to our clients depending on their needs. Additionally, for our clients convenience we offer OE products & private labeling. Also, we do customized packaging, if required. We also offer product sample for free.